Styled like Mom's, but designed for kids, this personalized children's purse will be specially made for one well-accessorized child! 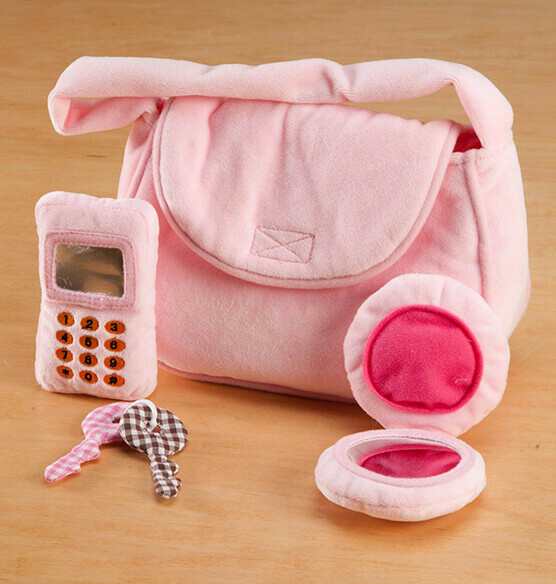 Designed in plush, velvety fabric with hook-and-loop closure, the classic girl's handbag includes a plush pretend compact, keys and cell phone—inspiring hours of imaginative play. 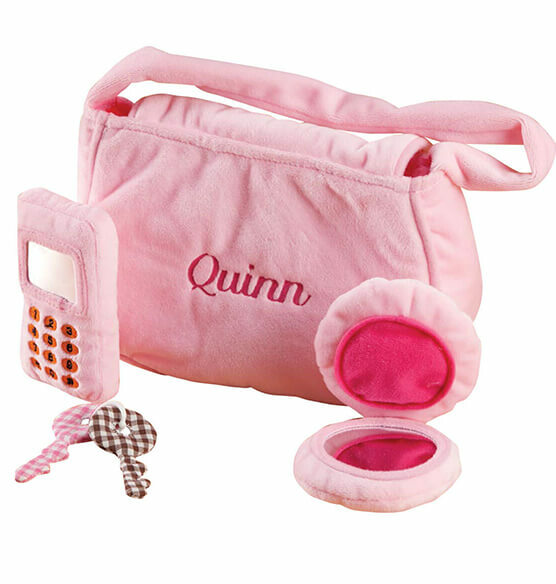 We'll embroider any name to this adorable purse, creating a custom treasure. Specify name; limit 1 line, 10 letters/spaces. 100% polyester; spot clean. 8" long x 7" wide. Imported. My little friend loves it. Purse is cute. Accessories are a cheap embarrassment. Would not buy this again.